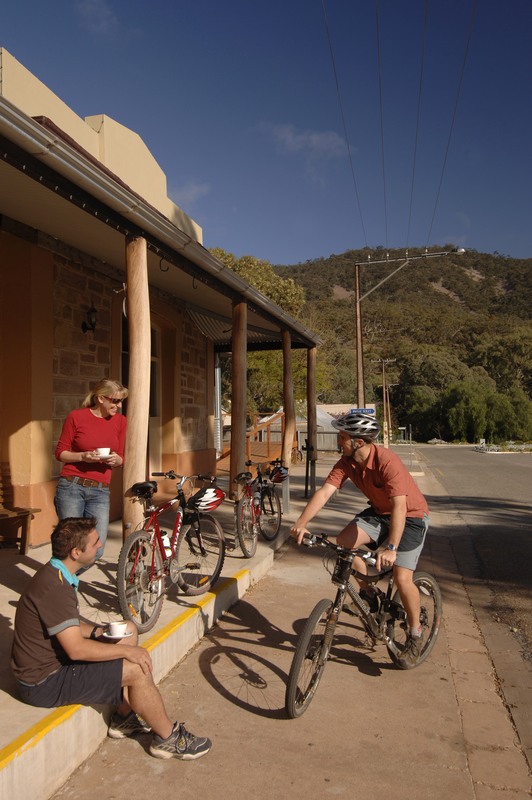 At the foot of Mt Remarkable National Park and with the Heysen Trail running right through town, Melrose is the centre of bike riding in the Flinders Ranges. Hire a bike (you can also book a guide in advance) and ride one of the many trails in and around Melrose. Cycle out to the showgrounds (easy) or tackle Mount Remarkable (difficult!). Bike repairs are available in town. Hike the Mount, take a shorter walk to Cathedral Rock or just stroll around town, perhaps visit the Melrose Courthouse Heritage Centre. For gourmet food and wine and regular art gallery installations call into the North Star, the oldest licensed hotel in the Flinders Ranges.